I taught Islam for several years at the college level. One of the things which was clear was that the Muslims await the coming of the Mahdi, revealed in the hadith, as the messiah who will bring many centuries of peace before the end of the world. The Sunnis and the Shias (Shiites) disagree as to the nature and timing of this Mahdi, but they are in agreement that he will come. Some texts state that he will fight against the anti-Christ. One can see the lifting of Christian ideas in these prophecies, which came centuries after Christ and the writing of the book of Revelation, about 100 A.D. The Koran is a mixture of the Torah, the Catholic Bible, and Arabic customs. Some believe that the Mahdi's coming depends on the cleansing of the world of Christians. Part of the Shia prophecy of the coming of the Mahdi is the complete destruction of Syria. Does this look familiar? According to some Islamic writings, the entire world will be Muslim under the Mahdi, and this has to happen before the end "resurrection of the dead." The Baha'is, who follow a religion established in the 19th century, also believe in a type of Mahdi-Messiah, who will come and bring peace, but under the Baha'i "faith". If you followed my recommendation on this blog twice of watching the movie Khartoum, you will understand the coming of the Mahdi and one who claimed to be him in the past, Muhammad Ahmad bin Abd Allah. Of course, there is only one Messiah, Jesus Christ, Our Lord and Savior. But, those Muslims who await the End Times, are pushing for the purification of the world of Christians in order to establish the era of peace with the coming of the Mahdi. This is the impetus, imo, of the surge of violence in the "religion of peace". The links at the bottom of the article are excellent. Some of you know I belong to the Third Order of the Society of the Most Sorrowful Mother. In case you do not know about the founder, or his website, here is a little bio. 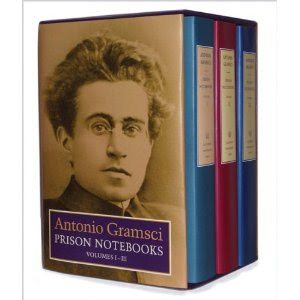 and more of his books may be found here. St. Augustine, in Civ. 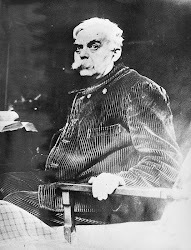 XIX.17, as the scholar G. R.Evans points out in the Introduction to my copy, "exhorts his readers thus: 'If you wish to be armed against temptations in the world, let the desire for the heavenly Jerusalem grow in your hearts." By contrast, 'a household of human beings whose life is not based on faith is in pursuit of an earthly peace belonging to this life.'" Writing at the end of the Roman Empire, watching the destruction of the entire social economic, and political structure which formed him in his classical education, and allowed him to live in peace while becoming a Catholic, St. Augustine had the advantage of seeing how God, indeed, punishes great sin, and humbles the proud. 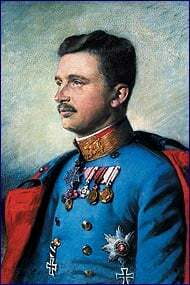 Can one imagine an unsophisticated group of people, the barbarians of his day, destroying almost a thousand years of culture and civilization? Readers, you can imagine this as it is happening in Europe and will happen here. It has begun. In June of 2008, I had three days of visions. I was wide awake. One of these was confirmed exactly by another person who had a similar dream hundreds of miles away. Some of the others are coming true in Europe. In one vision, on the third day, I saw three armies sweep across the globe. Two poured into America from the north--the Chinese and the Russians, after America had experienced some sort of catastrophe which left it vulnerable. Some of these images I put into my novels. A third army, of Muslims, came out of Italy and into the entire continent of Europe. Only a few nations held out against them-Poland, France, and, ironically, England. One reason I am revisiting the City of God this week and in the following weeks is that we are living in the same times as the great Augustine. We shall watch the destruction of Western Civilization, even in America. Only those who work for the City of God and understand that the City of Man belongs to satan, will be saved. Years ago, I also taught St. Anselm. I also studied in depth Nicholas of Cusa. 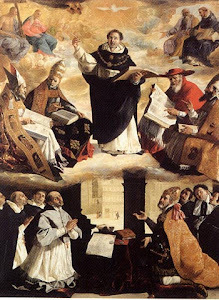 Both of these men, among others, knew the writings of St. Augustine and used them. Nicholas of Cusa, as Evans reminds us, notes that there are angels over the seven churches in Revelation. These angels inform the bishops. However, as there are demons in the City of Man, the demonic influences can now more and more be plainly seen in the Church. Some bishops are listening to the fallen angels in the City of Man. More than ever, we need a body of prayerful, active people, willing to build the City of God now. The Church has seen horrible times before, but this is different. Over the centuries, women and men who have founded communities or orders, had a place. St. Francis was allowed to take San. 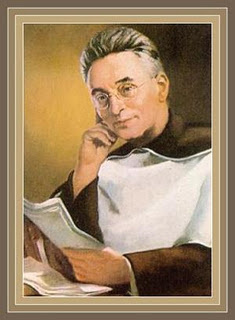 Damiano, when he was still a lay person, which he was for many long years until his order was established. He was alone for a long time as well. 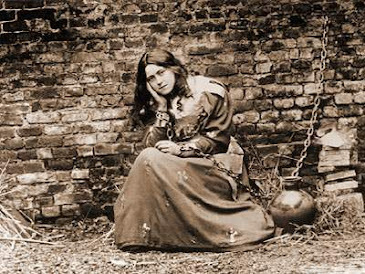 Marie Adele Garnier, the foundress of Tyburn, was given a house by a benefactor when she only had herself and one other young person adoring Christ in the nearby church in Paris. Again, she was a lay person for a relatively long while before she was allowed to make vows. 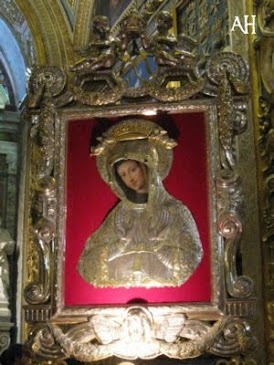 Many years passed before she applied for Benedictine recognition, under the guidance of Dom Marmion. The Church has an established, conservative order of this process. One does the work of God first, before having an order blossom out of that work. A friend of mine in Europe set up an Association of the Faithful, approved by Rome, for men to pray, work, and study. His wealthy parents bought him the extensive property. He is, individually, poor. He lives a simple lifestyle within his new order. I know three religious hermits who were given places to live. They are individuals, not a community. Without the benefactors, they could not have become hermits. The three live according to God's call and the fruit of their work is obvious to those who go to them for spiritual direction. I have not shared this on this blog, but I do spiritual direction and never charge. So, it should be. Without two benefactors, I would not have seen my son at Christmas, a son I had not seen in 15 months. Some foundresses were wealthy and used their own money. Some were poor and were given places by generous benefactors who only wanted daily prayers said for their souls. 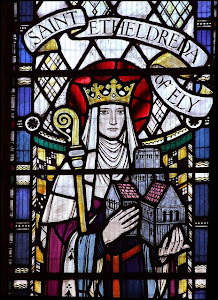 St. Etheldreda, being a princess with her own land, was abbess over a double monastery of men and women, the land of which included parts of Ely and Ely Place in London. Not too many wealthy people start orders or houses of prayer in the 21st Century. Not too many princesses follow Christ in the radical Gospel. Several modern stigmatists lived in small cabins, and their local communities helped them survive, washing their clothes, taking turns sitting with them, and so on. Some were very poor and individuals, not in communities. Only one 20th century stigmatist actually has an lay order started after her--Marthe Robin. These extraordinarily holy people were not left alone. But, one does not have to earn such support. God is in charge. People do not understand Divine Providence. I suggest they read the series I did on this subject. Just use tags or the search bar. Communities or gatherings of people need a place. We are not disembodied spirits. Mary was given a house by Joseph and later, by John. The only saint I know who did not have a permanent home, outside of the Fools for Christ of Russia, is St. Benedict Labre. He did not want to set up a house of Adoration, a place for Jesus to be in the neighborhood. The idea that members of a community or a future order can exist without benefactors seems to be a new idea. Even Father Z, a lone priest on line, has hundreds of benefactors. If I did not have someone paying for this Internet connection, I would not be blogging. God bless this benefactor, and those who sent me bedding and towels, so that I can be warm, pray and blog. God bless the person who is sending me a gift cert so I can buy food. This is the way of Catholics supporting those in need. It has always been so until the lies of socialism and the middle-class Calvinism crept into the minds of some Catholics. The idea of the "worthy poor" did not come out of Catholicism, but out of Victorian England. None of us are worthy of anything, and those who have are not more worthy than those who do not have. Such members of the Church, sadly, have fallen into middle-class ideas of religion which do not take into account giving without return. These are new days, and the coming tribulation means secret places for God to rest and even priests to hide. The Catholics will be marginalized, fined, and those enemies of God will try, as in England years ago, to destroy the Church in America. We need places "under the radar" as one of my dear friends told me last night. The old days are very quickly passing away, as most of the young people I speak with and write to know. They can see the sea-change. Things will get worse very quickly and the days of setting up anything for God will be ended. We need to act now. I suggest people read the foundations of orders and shrines, as I have for a long time. Benefactors helped almost all the new foundations, begun mostly by lay people, who then moved to new orders created by them. Most of the old orders have become corrupted. 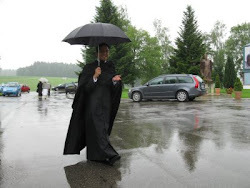 I know Carmelites and their third order members who believe in women priests and even contraception. New ideas and new disciplines are necessary. Adoration chapels should dot the entire landscape of America and Europe. These are needed in these times. Lay communities morph into orders, if that is God's Will. God does not follow business plans, but has His Own Way of creating something out of nothing, so that no one can take credit for His Plans. Such is the way of humility. Without humility, people think it is their work and not God's and sometimes, He uses the poorest of the poor in order to show forth His Glory. 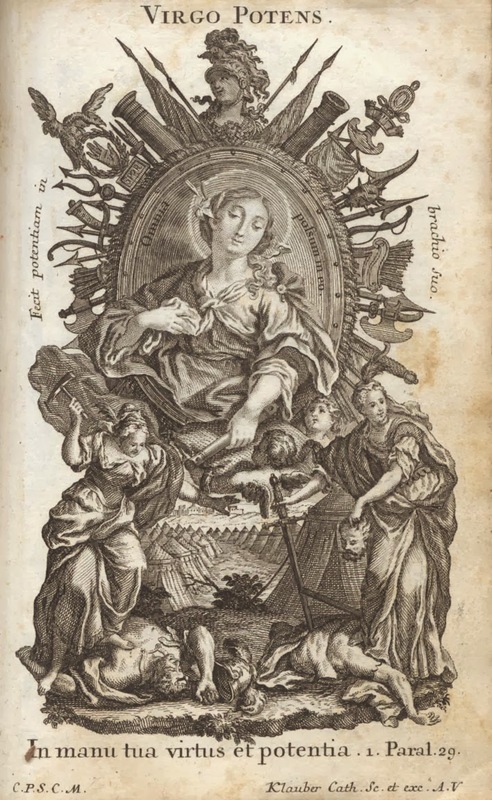 Marie Adele Garnier had bad health, and was a governess before she was called to adore Christ in the Eucharist. She was poor. Now, her order has ten houses across the globe. This all took time, and benefactors. I am living in a diocese now where the bishop most likely would be open to such a project. He has done this before. Not all bishops would be open, but I am open to this happening elsewhere, as long as the local bishop approves. That is another consideration. One sets up a discipline for Adoration and presents it to a bishop. Only he can approve private Adoration in a house. 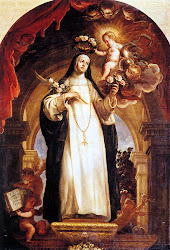 A saint not afraid to fight for God....recall that she was only nineteen when martyred. I found a description of myself in the City of God. God's City "lives in this world's city, as far as its human element is concerned; but it lives there as an alien sojourner." Those individuals who are members of this city belonging to God and who are aliens, are called in Latin, peregrinus, which is defined by the scholar who wrote the Introduction to my copy, as "either a free man who lives in a Roman city but who does not have rights of citizenship, or an actual wanderer, an 'outsider' with no home." As noted by this person, Augustine uses both definitions in his work. 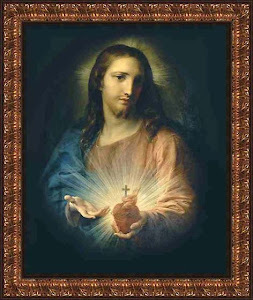 The heart of the Catholic must always be that of the peregrinus. one who is not comfortable in the world, one who is on the outside, an alien in an alien land. The New Jerusalem is our homeland, not this world. I have been fortunate to have been stripped of all things in order to really experience the sojourner lifestyle. But, whether one does on the outside or not, one must be a pergrinus on the inside, always ready to be separated and taken into God Alone. One's daily separations prepare us for death, of course, but also allow us to die daily to self-will. BTW, there are several saints named Peregrinus. Somehow, this does not surprise me and I am trying to raise 100,000 for a house of Adoration.